Able to spread light around your home, we proudly present to you this Antique French Style Silver Table Lamp, perfect for any style of home. 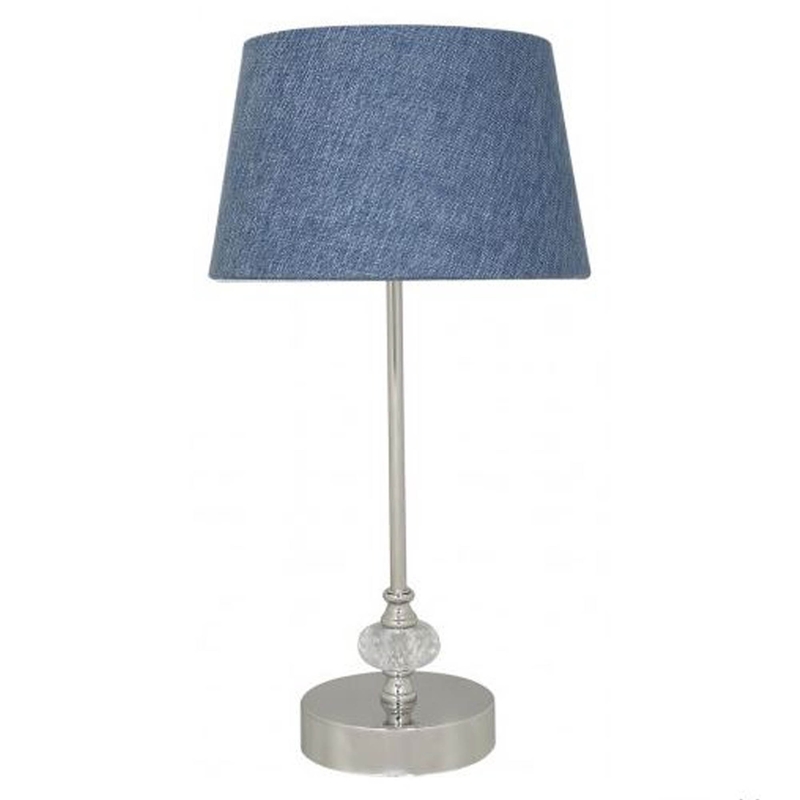 Due to its simple but gorgeous antique style design featuring a 9-inch stonewash blue linen shade, a tall thin silver base and crystal glass decoration, this lamp will effortlessly spread light throughout any style of home. Due to the high-quality materials that have been used, this table lamp will last for generations to come.